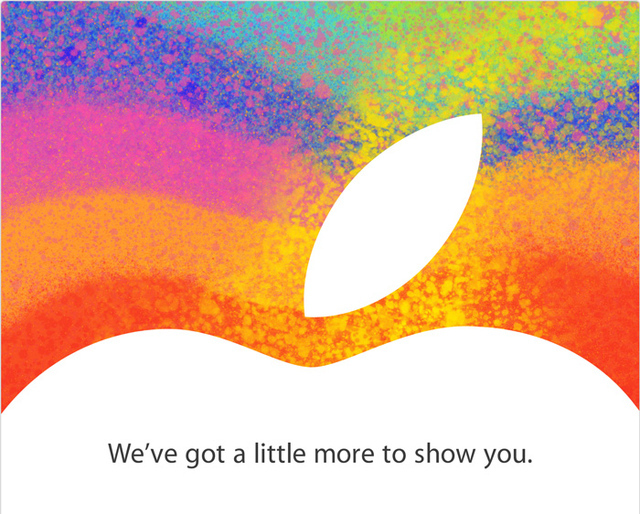 Apple has a little something something to show us as they hint in their colorful event invitation. Apple has officially confirmed that it will hold a special media event on October 23rd for yet another product launch. It's highly rumored that Apple will unveil the much anticipated iPad Mini and possibly add a 13-inch MacBook Pro with Retina display to its portable Mac lineup. We also anticipate Apple to refresh the iMac with updated specs and possibly a slimmer body as well as a refreshed Mac mini.